War Resisters' International has learned that Israeli conscientious objector Tamar Katz is being mistreated in prison. As reported in our co-alert, 2 December 2008, Tamar Katz, she was sentenced to 21 days in prison on 1 December 2008 - her third prison term. This time, she has decided to refuse to wear a uniform in prison. 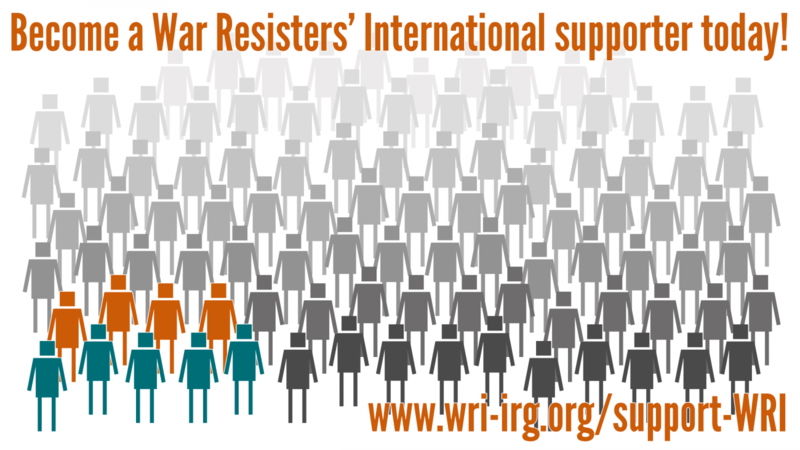 War Resisters' International now received information from its Israeli affiliate New Profile that Tamar Katz is being mistreated in prison, probably in an attempt to pressure her to wear a uniform. More specifically, Tamar Katz is not allowed to make phone calls to her family, not allowed to change clothes, and has even been denied the opportunity to wash her teeth. Please send a copy of your message by email to shministim@gmail.com, as other messages take much longer to arrive and might be blocked by the authorities. Please send a copy of your letter by email to support.refusers.israel@gmail.com. War Resisters' International calls for the immediate release of conscientious objector Tamar Katz and all other imprisoned conscientious objectors.